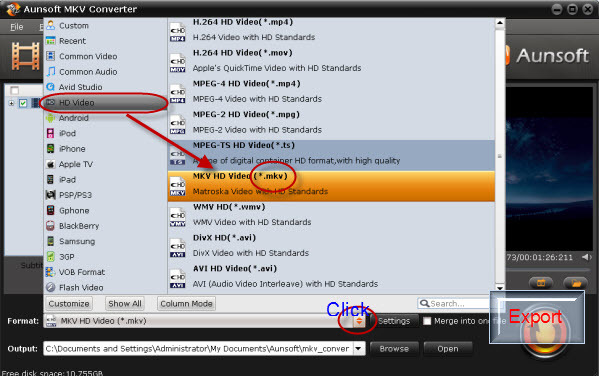 Top MKV Player, MKV Converter, MKV Splitter, MKV Joiner and MKV Editor combine into one to play/convert/split/join/edit MKV files. 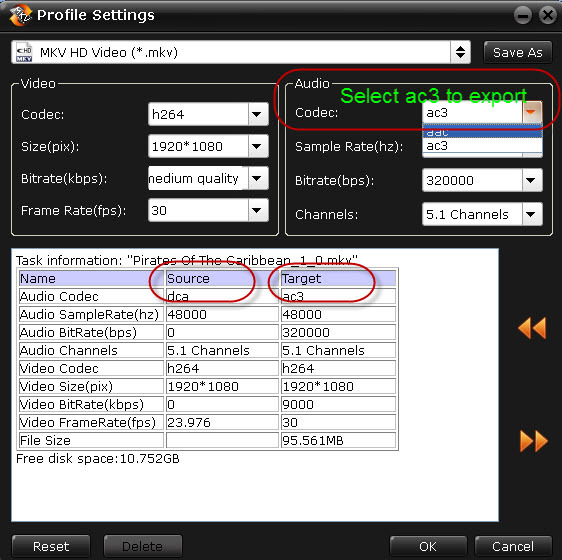 Do you want to know how to transcode and convert MKV with DTS sound to AC3 with 5.1 channel sound? Do you want to know how to play MKV DTS sound on your TV? Do you also want to know why VLC can’t play MKV DTS audio? First: How to transcode or convert MKV DTS sound to AC3 with 5.1 channels? Step 1: Import or add the MKV DTS files into this program. 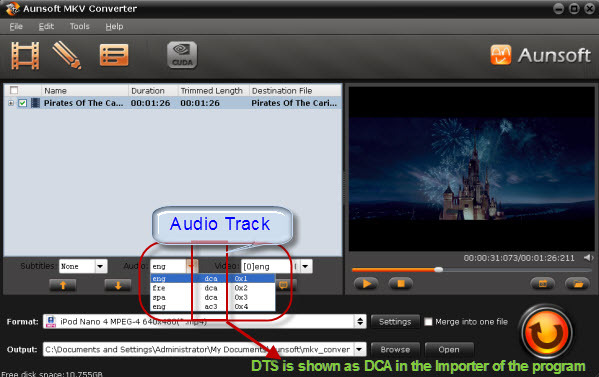 Click the Import button and set the correct path for MKV DTS to AC3 Converter to read. This picture will show how to start each step. From the two pictures, we can get that Aunsoft MKV DTS to AC3 Converter can support the selection of various video or audio tracks. It means you can choose any one of the tracks/channels/streams in your MKV file, including video, audio and subtitle you like to export. Compared with other such video converters, you can find that none of them could support this function. Step 3: Click the “Convert” button to start converting MKV with DTS sound to AC3 with 5.1 channels and before this, make sure you have set the correct path for the exporting. Do you already know the answers about converting MKV DTS to AC3 and do you know how to deal with it now? Hope this article just gives you the right information and let you quickly finish the conversion of MKV DTS to AC3 and still keep its 5.1 channel. Versions for Windows and Mac are totally the same. You can get them through different links. I did a test using free ware by seaching the web for software - I tested around 10 different software types ending up with you guys as the best for my need. I downloaded the trial and was happy when it converted a 40 minute 1.1gb video into a dvd that I could watch on my TV. I was so impressed that I bought the program. So far, it has done its job well. There were some mkv files that another program refused to convert that Aunsoft MKV converter converted to mp4 format without a hitch!